Last year, California legislators passed the Healthy Workplace Healthy Family Act of 2014, which provided the opportunity to accrue paid time off for sick leave to almost every California employee. The law allows qualifying employees who have worked at least 30 days to begin accrual and to use that sick time after 90 days of employment. The law covers temporary, part-time, and full-time employees with very few exceptions. Such exceptions only apply to certain employees with collective bargaining agreements, some air carrier employees, and in-home providers of supportive services. Because the new law so widely affects California employers, all business owners should thoroughly familiarize themselves with it to avoid legal disputes or sanctions for noncompliance. Provide adequate notice to employees upon hire of their right to paid sick leave, along with having easy to read posters on the subject in the workplace. Allow employees to accrue at least one hour for every 30 hours worked up to an annual minimum of 24 hours or three full days of work, whichever is more based on an employee’s typical work day. Notify employees of any qualified caps on sick time accrual. Approve reasonable requests to use paid sick time. 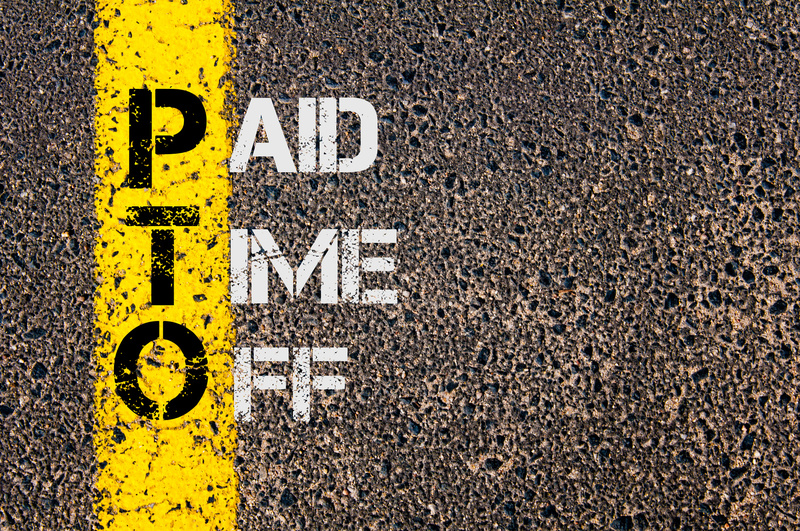 Regularly issue pay stubs or other documents that clearly state how much paid time off the employee has left. Keep careful records regarding accrual and use for three years. Never discriminate or retaliate against an employee for use of sick time. The above is a simplified explanation of employer responsibilities under the new law and every business owner should discuss all of the requirements with an experienced employment law attorney as soon as possible. Companies that already had a paid sick leave or PTO policy can be grandfathered in without changing their policies provided the policy meets certain requirements. In order to be eligible for sick time accrual, an employee must work with the same employer for at least 30 days in the past year, while the original version of the law did not specify where the employee had to work. Employers can use different accrual methods as long as the accrual happens at regular intervals and an employee can accrue at least 24 hours of PTO within 120 days. Sick day use can be limited to either one calendar year, year of employment, or 12-month period. Pay rate for sick time will be based on the pay period in which the PTO was used. Though many employers recently made substantial changes to their sick time policies in preparation for the new law to take effect on July 1st, it is now a good idea to re-examine your policies to ensure compliance with all of the applicable amendments. When a new law goes into effect that widely affects employers and business owners across the state of California, it is only understandable that you may have questions and need some guidance to ensure that your business complies with the new law and any subsequent amendments. Because employment laws and regulations are constantly changing, it is always a good idea to have the assistance of a skilled business lawyer who can provide valuable advice and help prevent any future legal disputes with employees. If you have questions regarding the new paid sick leave law or any other legal matter, call the San Jose office of the Structure Law Group at 408-441-7500 for help today.